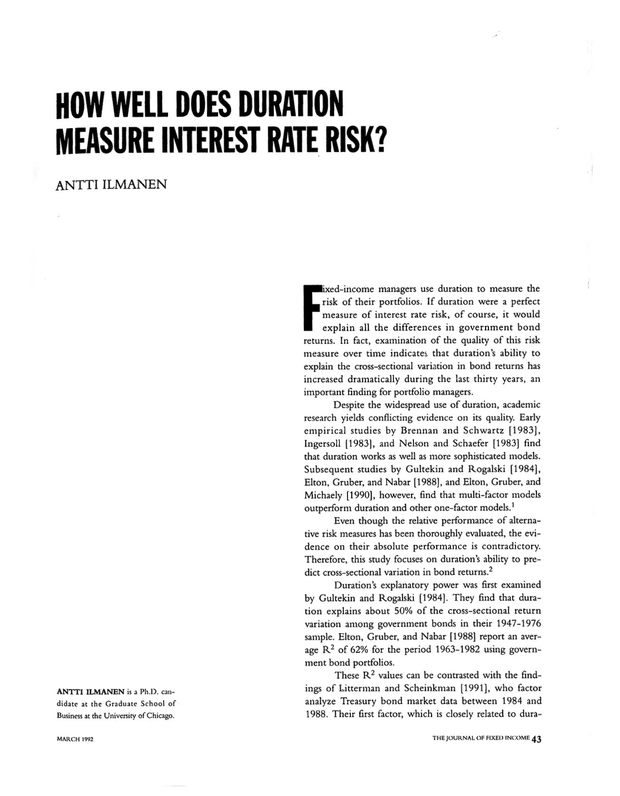 How Well Does Duration Measure Interest Rate Risk? A Ph.D. Candidate at the Graduate School of Business at the University of Chicago. You are going to email the following How Well Does Duration Measure Interest Rate Risk?